A culinary tip gave me a good suggestion to treat the theme of pitting in plate heat exchangers. The answer at this link is indeed really interesting and clever, resolving the question if it’s better to add salt in water when cooking pasta before it starts to boil or when boiling has started. 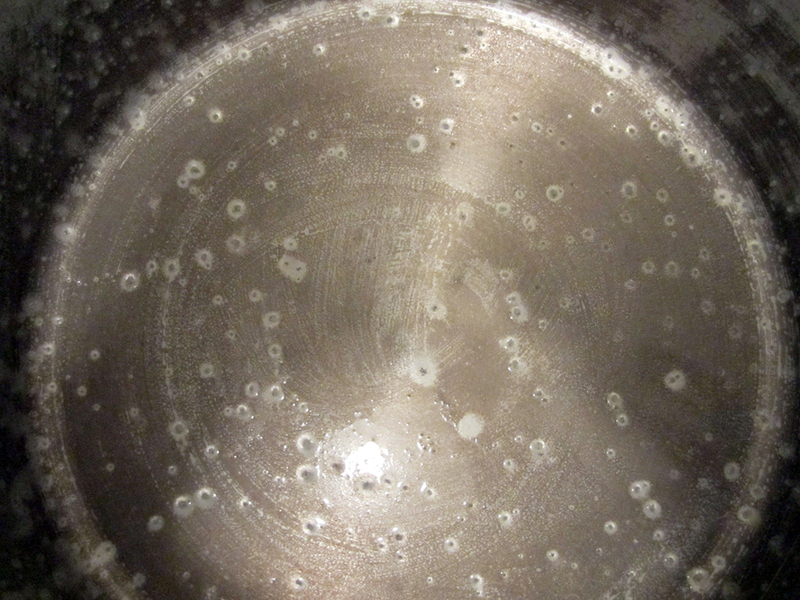 The article, in Italian, states that the proper thing to do is to add salt when water is already boiling, because the bubbles flowing up avoid the salt to deposit on the bottom of the pot, where in contact with the metal surface the solid salt absorbs the heat more efficiently than water, generating a highly corrosive contact surface between salt, water and the metal. 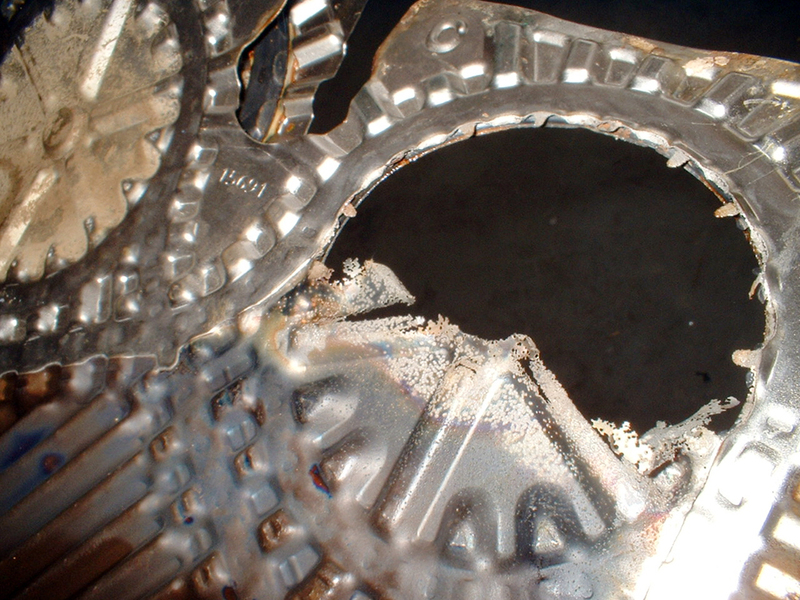 The resulting is pitting, ie a form of very localized corrosion with the creation of small holes in the metal. The case of when adding big salt grains in water during cooking daily habits explains very well the process leading to the pitting due to chloride concentration. We can indeed observe the very same phenomenon happening on plates of heat exchangers, when localized concentrations of corrosive elements (chlorides or other) cause the perforation of the plates. Let’s grab an example with anodic oxidation. In this case the fluid involved is sulfuric acid in high concentration, so that AISI 316 can provide a proper corrosion resistance against the chemical aggression. But it happens that, while the plant is in stand-by, there is product stagnation near the nozzles which leads to a concentration of the acid, causing in a medium-long period the pitting and thus the perforation for corrosion of the plates. That’s why in this kind of application, and in similar ones, it is suitable to select a more resistant material, such as AVESTA 254 SMO, a type of austenitic stainless steel with high molybdenum content that ensures a specific high corrosion and pitting resistance.